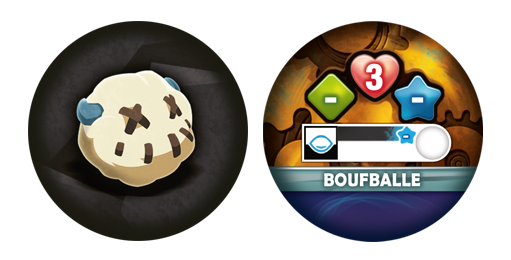 [Devblog] Brakmar's Boufbowlers - Info - News - Krosmaster - Become the Master of the Krosmoz! Today we're going to talk about Boufbowl characters. Boufbowl is the brand new game in the Krosmaster product line, with its own innovative game system. In the Boufbowl box, players have 10 different Krosmaster profiles to play Gobbowl. We'll talk about these profiles here, this week, and in the weeks to come. Within the creative constraints of the profiles, we knew from the start there would be two teams of five Krosmasters for a total of 10 Krosmasters, which is a good enough number to work it like a season. Before starting on the profiles per se, there is always a first phase that consists of creating a framework of rules to govern the new Krosmasters as a whole. During this phase, we look at the current game environment and analyze tournament results, and we make predictions about the future environment as we get to know about future releases. We also take into account the rotating nature of the season format. 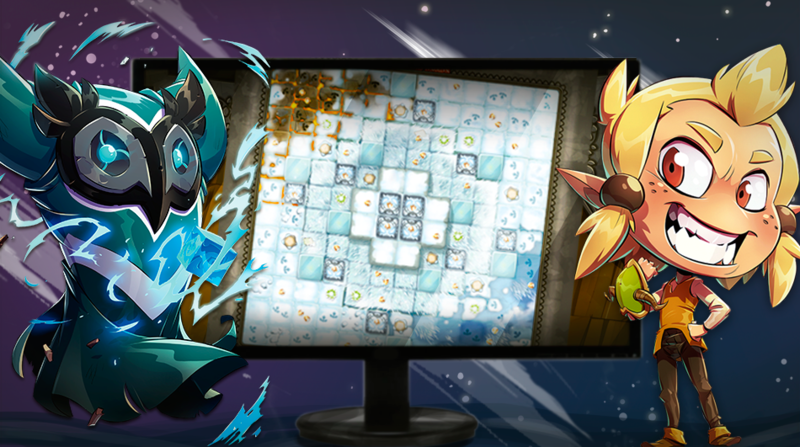 Two teams should form 2×12 points to offer Krosmaster players two teams. We wanted captains – a recognizable, very common notion in sports. Create a strong, unique theme and internal synergies for each team. The Brakmar theme came about pretty quickly. [Dewit] had already sent me a Krosmaster concept some years ago that toyed with a Gobbowl ball. I liked the mechanics, and it was the right time to apply those mechanics to a whole team. 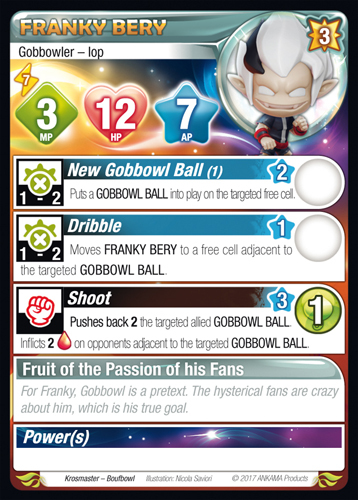 Incidentally, [Dewit]'s profile led to Franky Bery, with a few characteristic adjustments, but the general idea was there: Summon and shoot at the ball to do damage. All the Krosmasters on the Brakmar team had to be able to summon the Gobbowl ball because their mechanics mainly involved them interacting with it. Even when not on a Brakmar team, they needed to be able to use their spells effectively. At the beginning of ~'s turn, put a Gobbowl ball in play on a free cell adjacent to ~. For card reading and rule-related reasons, we ultimately opted for a summoning spell. This allowed us to introduce the GOBBOWL BALL notion before the spells used it, and it made understanding the profiles easier. In Franky, we already had a character who rushes right into things, so we looked for another way to use the Gobbowl ball's movement mechanics. After some discussion, we ultimately decided we wanted to offer some AP and MP control not only to the team, but also to the metagame in general. We noticed that the level-2 slot lacked an AP reduction, and that's how we created Fabine. 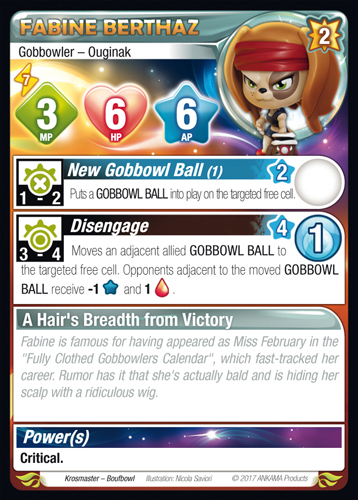 Played first, she places the Gobbowl ball for her other team members like Franky, who can then jump to the side, or Chabal, who can strike it to do more damage. She has a very controlling role, since she can remove AP and hinder the opponent's movement, even when she isn't played as part of the Brakmarian team! At the same time, we also took on CHABAL O'LEARY, the team captain. We wanted the captain to do the same thing as the other aforementioned Boufbowl players. 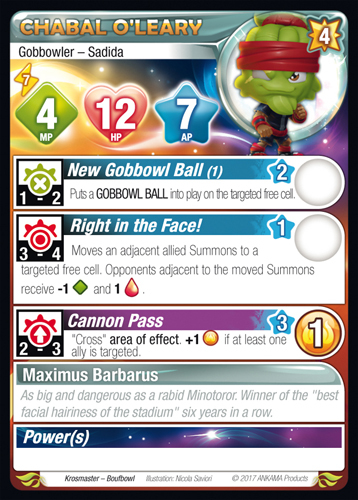 So we decided to give all Summons his ability to move the Gobbowl ball. 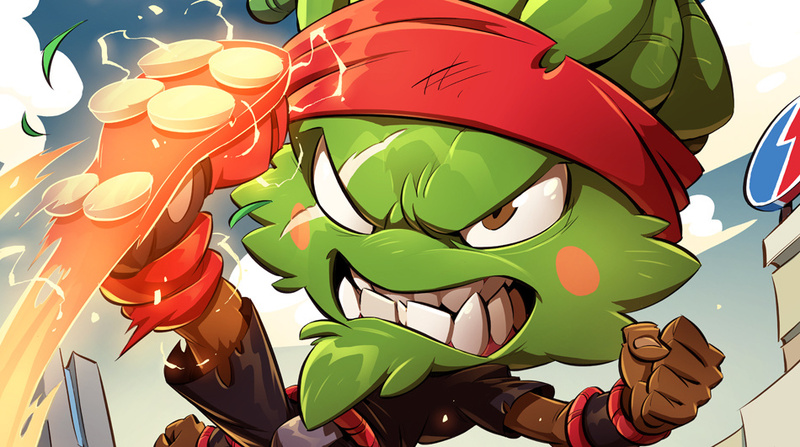 He was the captain of the Brakmarian team, and the Brakmarians aren't afraid to sacrifice their friends or teammates to achieve their goals... That's how the Cannon Pass came about, which is preceded by many phases before it can be used on allied Krosmasters and allied Summons! Building teams based around this profile is very interesting. 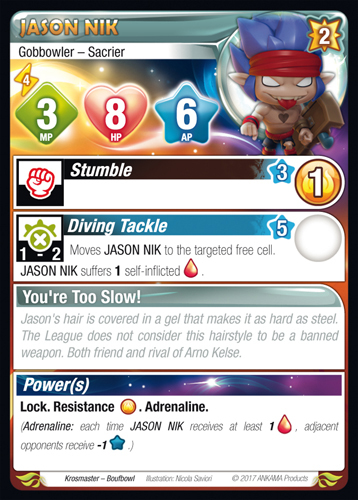 He combines very well with other summoners, sacrificeable Krosmasters, or Krosmasters who like taking hits, such as Jason Nik (another Brakmarian player)! 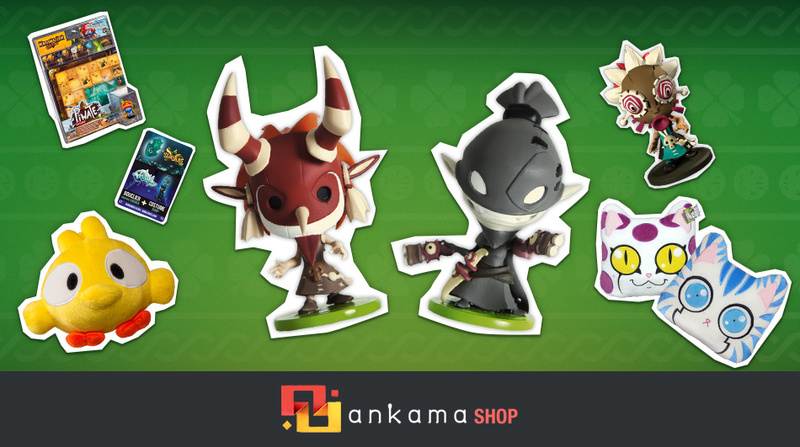 In the next Devblog, we'll talk about the Bonta team and the profiles it's made up of!